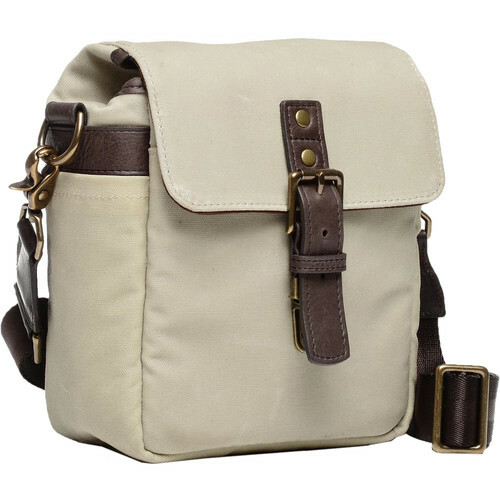 The Bond Street Waxed Canvas Camera Bag in oyster from ONA is a stylish carrying option that can accommodate a mirrorless camera with one or two lenses and additional personal items. For impact and shock protection the bag has a padded non-scratch interior with closed-cell foam. A touch-tab divider can be adjusted to create two interior sections of equal or varying lengths. With or without that insert, the Bond Street bag can also be used as a compact messenger bag.